How often do we feel like our work will never be done in education? I spend a lot of time trying to figure out how to escape the circular reasoning behind the notion that “teachers don’t have time to create their own learning resources.” I believe that notion to be completely false, yet walk into any school building and you’ll easily find a good majority of teachers that claim they’re too busy to worry about “one more thing”. Perhaps….but what if the reason they feel so overwhelmed is that the time they do have has been structured to be inefficient and cluttered with a lot of “small chores” that never seem to be done? 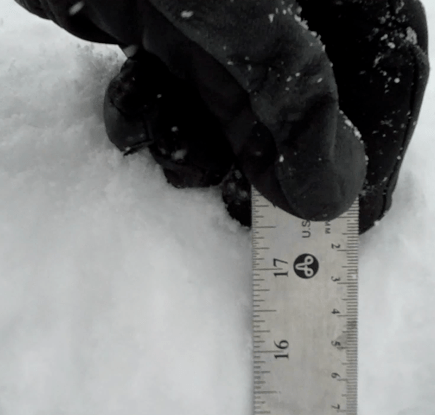 This past Saturday morning I woke up to 17 inches of fresh snow. It was quite a shock, and after suiting up in my winter gear and shoveling a path to the driveway, I got the snow blower warmed up and started to clear off the driveway. It was extremely slow going, and thanks to a very narrow band of lake effect snow fall, the sticky white flakes continued to blanket the ground the entire time I was working. By the time I was halfway done with the driveway, I had to go back and re-do what I had already cleared off. I found myself slightly miffed at having to do the same work over again, and was downright annoyed when I realized that I would most likely have to come back out later in the day to clear out the end of the driveway again after the road plows came through, burying us yet again. I carried out my frosty chore though, because I knew that tackling the “big chore” would make it easier to clear off the driveway again later in the day. I could have just as easily gone back inside and waited for the snow to stop and the plows to clear the road, or even waited until the middle of this week when the weather would be warm enough to melt a lot of the snow, but that would have made things exceptionally difficult for me. Which of course is when my brain switched over into “let’s learn from this” mode (a setting that I would all too often love to be able to turn off voluntarily). 17 inches of snow at the end of my driveway. Teachers constantly prepare for the lessons of the week. Copies of handouts are made, activities are setup, trips to the computer lab are scheduled, and just about every other detail that would require some foresight is taken care of. Teachers regularly “bite off” a big chunk of tasks at the start of the work week, or before a large unit, so that they can spend more time working with students and enjoying the learning environment, rather than having to slog through the proverbial 17 inches of snow that would be menial tasks that get in the way without proper preparation. So why do many look at developing their own resources, especially those created with technology, any differently? Rather than get out there and tackle the “big chore” (creating an iMovie, making some animated GIFs, assembling some graphic organizers with a word processor), educators spend a lot of time searching for the perfect resources that may or may not exist, to fit within their units. Many use excuses of “why bother reinventing the wheel” or “it takes so much time!”. Which of course to me is a bit silly. You don’t have the same students as you did last year, maybe they might need slightly tweaked resources, and if you spent some dedicated time at the start of a unit playing with a piece of technology (perhaps even alongside your students) you might discover you have a knack for a particular task (making animated GIFs to illustrate learning objectives with humor or motion). Instead, often is the case in which teachers wait until after all the learning is done, or when they have 3 hours to sit down and dedicate themselves during a professional development day. I know what I say next may not be popular, but you have to play! And you have to do it sooner than you would like or think, forcing yourself to start creating something that is yours, not just taken off the shelf (or at the very least, something you’ve taken, but have tweaked to your own purposes). I had to force myself out into the cold last Saturday morning to snow blow that driveway, even though I knew I could have waited out the snow fall; but I would have been hindered by the snow to say the least, and it would have made driving in and out of the garage difficult (to say the least). So I sacrificed time with my family and relaxing in a warm chair on a weekend morning to clear off my driveway for almost 2 hours. We may feel like our work may never be done in education, especially if we start sacrificing other opportunities to start producing our own learning resources, but what opportunities would that afford us in the future? By regularly clearing off my driveway I don’t have to worry about ice, getting my car stuck, or blocking others from visiting. By creating my own resources (even something as simple as my own writing prompts and graphic organizers), what could you allow your students to accomplish? Love these thoughts Ben. Great stuff! It can be so frustrating at times doing the same things again and again, but in those moments of creation, when students get on board, there is nothing better! Gotta keep plowing along! Reading your post could not have come at a more perfect time for me. I teach a unit for students with multiple disabilities (grades 6-8) and often find myself in the “I just don’t have enough hours in the day” teacher rut. I am currently in grad school, working towards a Master’s in Ed. Technology, which on top of a full caseload of students with significant learning needs, keeps me pretty busy. I need to individualize instruction and resources for each one of my students on a daily basis, which can be overwhelming and time consuming. These students need resources that meet their specific needs, more so than most. This forces me to make the time to tailor my instruction and technology to their extremely varied ability levels and learning modalities. I do however, use resources such as SMART Exchange, to download SMART Board activities that have been created by other teachers. These activities can be easily altered to fit the needs of my students, and most of them would take me (someone fairly new to SMART Board technology) a good amount of time to create on my own. So I do think that not “reinventing the wheel” can be acceptable, if you are making the “wheel” better suited to your student’s needs. I think that one solution to the problem of teachers not having the time to create their own resources could be solved if more teachers had better and more frequent access to professional development that would increase their knowledge of technology. For me, it’s a whole lot less daunting when I feel comfortable using a resource (like Power Point, for example), and therefore I am much more apt to using it to create learning tools for my students. I do think that teachers out there make a lot of excuses as to why they don’t utilize technology in creating resources for their students. At my school, I have seen SMART Boards collecting dust, while the teacher in the classroom claims “it’s too much work to turn it on for just one class period.” It horrifies me. I can’t imagine my life without the wealth of technological resources I have been provided in my school building. The field of education needs people like us to motivate and educate fellow teachers on how utilize technology in all classrooms. Technology has the power to transform the way we teach and the way students learn. “No matter how powerful technology is, you must have the mindset to use it effectively”. We as educators must all get into that mindset. I’m glad that this post found you at just the right moment, and I like the thoughts you’re sharing here. Regardless of what tool we’re using to create, you’ve hit the nail on the head with teacher’s having to provide that personalized and individualized learning experience for their students. What’s truly important is that although you don’t reinvent the wheel each time, you know enough that you could, and that’s powerful. When you feel as confident as you appear to be with a tool, then you can really start to transform your instruction, not through the technology, but through your instructional practices, and the tech doesn’t get in the way like it might for others. Thanks for the reply. I love what you said in the last paragraph – that although you may not reinvent the wheel every time, knowing that you could is so empowering. I couldn’t agree more. In these times, the more we can improve upon our instruction through the use of technology, the better. All teachers need to get comfortable with integrating a variety of tools in their classrooms, because soon technology will catch up with them, and as we know… there’s no turning back! As I look out my window this morning, I can see your snowblowing metaphor becoming a reality for me – LOL. You have to love Northeast Ohio winters! Thanks again for the response, and I plan on adding a link to your blog within the blog I am currently setting up (my first!). I look forward to reading your posts in the future.